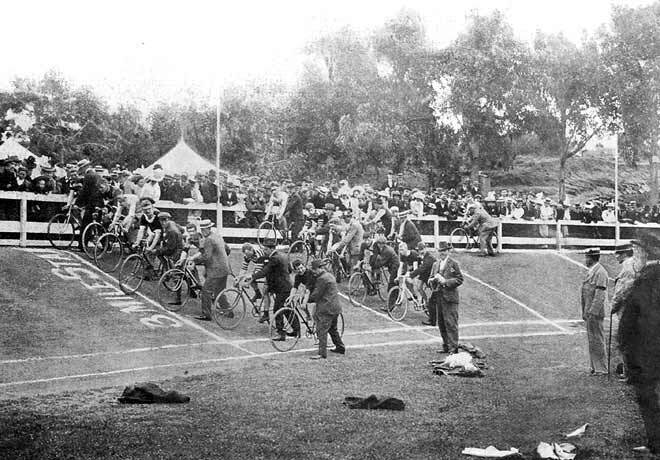 Cyclists and supporters take their places for a three-mile 'dash-for-cash' championship at Whanganui in the 1880s. Race meetings such as this often included both amateur competitions and events offering cash prizes. Competitors in the latter category generally forfeited their amateur status.